Are you stuck and need a nudge with your family history search? 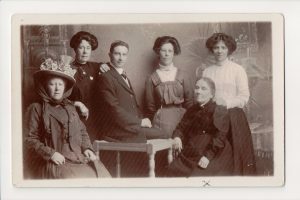 Family history search is increasing in popularity from finding out where we come from – to trace your family tree or family history. Tracing your ancestors allows us to find out how our ancestors lived and worked in very different environments to those we inhabit today and it is only natural to want to know where you came from and what life was like for previous family generations. For some, the thrill is in the chase and you may want to conduct your own genealogy research and only seek the advice of professionals when you hit a brick wall. For others you may choose genealogy researchers like us to do the legwork for you and to compile a complete family history. Whatever your preference we can help you. Whether for your own pure curiosity or because you have a need to trace an ancestor or research your family tree, perhaps due to a death in the family, tracking down the right information is not always straightforward. As genealogy researchers we know where to look and will research your family history for you or help you with your own research. Just as every family is different so the search for the ancestry is different too. find a birth, marriage, death certificate or will? research the story of an ancestor? search civil registration, census or parish registers? search in archives and local repositories?